One of the greatest advantages of working with a local lender is that they are better able to communicate with you. We live in the age of technology and making use of the newest developments is important in any business, but nothing can replace a good face to face conversation. I maintain an open door policy with my clients. Day or night I am available. I personally get to know each of my borrowers and can update them within moments on their loan status and what, if anything is required. Accessibility is an important ingredient for success. Another advantage of a local mortgage professional is knowledge of the local market. When you use a local lender, they have expert knowledge of the local market. Why would you use a lender that doesn’t know your area? There are intricacies to the mortgage process that are very area specific; it’s very difficult for a national lender to know all of them for every state. Every area of the country has regional differences, when it comes to closing home loans and purchasing real estate. Finally, your local mortgage lender will likely be connected to the other professionals involved in the purchase or refinance. There are many different aspects to a home purchase or refinance. The major people involved are the borrower(s), the lender, the real estate agent, and the title company and inspection professionals. When you work with a local lender, you will receive help navigating the process. By knowing the ins and outs of each part of the process, a local lender is able to keep things on schedule, identify issues and communicate more effectively each step of the way. If you have any questions or comments please feel free to email me at Ingird.Quinn@cobaltmortgage.com or visit me at http://www.ScottsdaleMortgageExpert.com or http://www.CobaltMortgage.com/IngridQuinn. 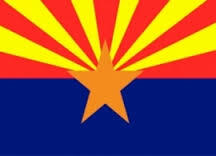 Categories: Lender, Loans | Tags: arizona, Home Buying, ingrid quinn, lender, Mortgage, phoenix, scottsdale, tempe | Permalink. It’s been a 30 year ride for me in this business. I thought it was time to reflect where the industry has been and where it may go. It certainly is not a boring job. I find it an exciting challenge to daily talk to people and work with them towards their goal of buying a home. The industry has been in the news a lot in the last 7-8 years and there has not been a dull moment. There have been a lot of changes in the rules and just keeping up with those has been a huge undertaking, but it just takes me back to when I first started out. We verify everything. It’s the way it should be. I have been through real estate booms and busts, trends come and go and so do people I have worked with. The industry has done some weeding out and hopefully most of the bad apples are gone and hopefully industry standards are where they should be. What remains the same is that Americans still want to own their homes. I find that people place an enormous amount of trust in my hands and I do everything I can to make their homeownership goal a reality. 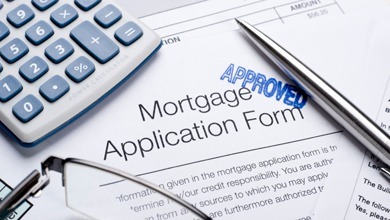 What has changed, though, is the difference about how a mortgage is originated. The online channel has grown and the mortgage industry has finally automated the process to an almost paperless process. Yea!! Gone are the file folders of 3-8 inch thick loan files and pdf versions of documents loaded into our processing system has make copying and faxing a near thing of the past. What I still feel is important is the relationship of the quality referral to an experienced and trusted lender. Though online access is readily available, the referral to your mortgage lender is important because they are handling all of your personal information and the trust factor is imperative as to who has your information. A home purchase is close to if not the largest personal purchase you will make. Take the time to find your trusted advisor in this process. It will make the experience a smoother one. For questions or suggestions please feel free to contact me at Ingrid.quinn@cobaltmortgage.com or visit my websites http://www.scottsdalemortgageexpert.com or http://www.cobaltmortgage.com/ingridquinn. Categories: Documentation, home buying, Lender, Loans, Market, Uncategorized | Tags: cobalt mortgage, ingrid quinn, Mortgage, mortgage banker, paradisevalley, phoenix, Phoenix loan officer, real estate, scottsdale loan officer, scottsdale mortgage | Permalink. Often times a Realtor will suggest to a homebuyer that they use the real estate company’s “in-house” lender. Realtors don’t usually push these lenders on their buyers, but they are definitely suggested and buyers will sign a disclosure that the real estate company does have affiliations and receives some compensation for that referral. Every wonder why? It is important to know how these lenders are structured, and how they operate. I have been on both sides of the table with this. I was an in-house loan officer for a couple of years about 7 years ago. That was before licensing became mandatory and the mortgage meltdown. These in-house lenders are a joint venture between the Real Estate firm and an outside lender. The Real Estate firm takes a piece of the profits (most for the firm, a small amount for the Realtor) in trade for allowing the lender to be an “in-house” lender. An in-house lender has trouble retaining quality loan officers because they offer low pay. Because there is a captured audience the loan officer does not have to pound the pavement for business but it is important that they establish a quality relationship with the Realtors in their office and are accessible to them. An in house loan officer is only as good as their supporting backroom. If processing is out of state, the loan officer has limited control over the process and relies on a strong team to take care of his/her deal. I had that benefit when I was working for a Realty office, thank goodness, but most in house lenders have the kind of a system that follows the retail bank model, and the service can be less than par. In today’s hyper complicated mortgage environment, everyone needs a top notch mortgage representative, who is full time, who will make things as smooth as possible, and who will fight for their loan; all while providing competitive market terms. It’s an understatement to say the financial world is getting complicated. You can still hire the best mortgage loan officer, and also get the best terms. Simply stay away from online lenders, and lead aggregation websites. Use local referrals, which are accountable, experienced, systemized, and have a vested interest in maintaining their reputation. Have you had experience with an in house lender? I would love to hear about it. Contact me at Ingrid.Quinn@cobaltmortgage.com or visit my website at http://www.scottsdalemortgageexpert.com or http://www.cobaltmortgage.com/ingridquinn. Categories: Lender | Tags: applying mortgage, arizona, cobalt mortgage, home buyer, Home Buying, home mortgage, ingrid quinn, inhouse leander, loan officer, Mortgage, mortgage banker, online leander, phoenix, pradisvalley, scottsdale | Permalink. What Kind of Lender Are You Using? When looking to buy a home, one of the most important things to think about is what type of lender you are going to be working with. You may be surprised by how many different options there are. Banks, large and small: Due to their size, banks have a tendency to be a bit slower. In general, I have seen the banks take weeks to go through a process that takes other lenders days. There may be the chance that you are working with a Private Banking Associate who may get your file through a bit faster. On the negative side, trying to get a loan through a bank’s branch network, 1-800# call center or a low to middle producing loan officer can be painful. There can also be a challenge with having the appraisal done through a bank’s system. Due to changes enacted by the CFPB, all lenders must use a 3rd party system of ordering appraisals. Banks use their own Appraisal Management Company (AMC). I equate ordering an appraisal to pulling a number out of a Bingo basket. It is random and the pool of appraisers is quite large. Obtaining a mortgage through a bank tends to be a conveyer belt process, possibly in another state or region. This can cause the loan process to take longer as well as be a bit more complex. 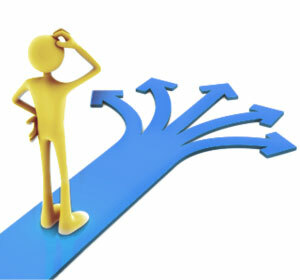 Credit Unions: Credit unions can go either way. From life experience a credit union’s functionality and speed are greatly affected by the loyalty you show. Credit unions also draw from their own AMC, and tend to be similar to a big bank. When it comes down to it Credit Unions are a 50/50 shot on whether you are going to have a great experience or a bad one. Mortgage Brokers: Mortgage brokerage firms seem to be mostly about the individual broker. This can be a good thing when it comes time to shop rates for the client. If you are thinking of working with a Mortgage Broker, you will want to meet them in person and get to know their work ethic to see what to expect during your transaction. There are some downsides such as, appraisal ordering is subject to the AMC of the institution the broker chooses to go to. Some of these lenders broker to big banks, small banks, wholesale entities, insurance companies, credit unions, private banks and more. Guaranteed before your first payment is due the loan, will have been transferred and may do so a number of times throughout the life of the loan. The broker has very little negotiation power during the underwriting process as far as any hiccups on the file. 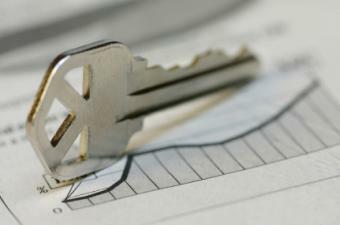 Mortgage Bankers: A good mortgage banking firm is a worthwhile contact right now. A mortgage banker is usually set up to underwrite and close loans in-house, which means faster turn times, more control and the underwriting staff, closers, funders personally know the people who are handling your loan . Some mortgage bankers even have their own AMC, populated by a smaller pool of self selected appraisers they know well, which can make for the best results for a tight appraisal situation you may be worried about. Most Mortgage Bankers also have constant contact with your loan and have the ability to check status and in turn give you immediate feedback and updates throughout the process. This keeps the control with your Mortgage Banker and allows you to have more input into the process. They are also very likely to service the loan after it closes, so you have a loan life partner in your loan officer. Online lenders: When looking at online lenders the best way to think of it is, would you want to place the largest purchase in your life in the hands of a nameless, faceless entity? Online lenders are big, with no knowledge of the local market and are subject to large AMC’s. From my experience, they tend to be slow and cause frustration. If a client wants to take a leap of faith and purchase or refinance with an online lender, I am honestly going to try and talk them out of it. I personally would not risk going to an online lender. Categories: Lender | Tags: 15 year mortgage, arizona, Bank, Credit union, home buyer, Home Buying, Home Loans, home purchase, ingrid quinn, lender, mortgage banker, Mortgage BRoker, paradise valley, Phoenix loan officer, real estate, scottsdale, scottsdale loan officer, scottsdale mrotgage | Permalink.